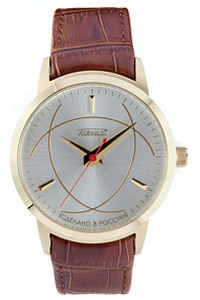 Petrodvorets Watch Factory Launch revives the famous Yalta Soviet line. Initially, this line of watches was designed in the 1960s. The main distinctive image detail hours Yalta is a dial divided into four equal parts.